Put a Century of Student Success to Work for You Calvert partners with schools to provide curriculum, platform and services specifically built to stronger foundations for students in K-8 virtual and blended learning environments. For over 100 years, we’ve been a mission-based organization that supports unconventional learning settings and experiences. Calvert’s research-based curriculum is known for its academic rigor and engaging approach to project-based learning, and is designed to build lifelong skills. We carefully curate best of breed educational content and bring it to life with a framework and experience that guides teaching and learning. ACCREDITATION AND ALIGNMENT TO EDUCATIONAL STANDARDS Calvert curriculum is accredited and approved by the Middle States Association Commission on Elementary and Secondary Schools and approved by the Maryland State Department of Education. The instructional program is based on the International Association for K–12 Online Learning (iNACOL) standards for online programs. Calvert regularly reviews all courses and introduces new materials after considering state standards and the standards established by the National Council for Teachers of Mathematics, National Council for Teachers of English, National Council for Teachers of Social Studies, and National Science Teachers Association, as well as the International Society for Technology in Education. All schools have family orientations and full training. Optional services include program design & consultation, instructional services from certified teachers and enrollment services. Seamless onboarding for an easy and fast ramp up. Support every step of the way. Dedicated account managers provide a single point of contact to address your school’s every need. Full support for learning guides with recommended daily lessons, online calendars and more. Explore Calvert’s courses in the pages ahead. Learn more about our services and support by contacting us at 1-844-507-5704. Or visit CalvertLearning.com. Pre-K Calvert’s Pre-K curriculum is designed to kick-start your students’ love for learning. Students will enjoy a year of guided and fun developmental activities as you work together to begin the educational experience. Our activities will guide your student through the first year of learning and most importantly, awaken your student’s love of learning. With Calvert’s hands-on activities, your students’ readiness skills will progress so that they are prepared for Kindergarten. Math In preparation for Kindergarten, Math activities begin with an appreciation for simple measurements and patterns, with the recognition and writing of numbers 1–10. Paving the way for reading, Calvert’s vocabulary-building activities and exercises are designed to stimulate visual and auditory discrimination. Your students will also learn to associate ideas, build logical sequences, and strengthen comprehension and memory skills. Games and Play Hands-on activities, manipulatives, dramatizations, imitations, and mimicry focus your students’ readiness skills to prepare for an academic Kindergarten. Music Your students will learn, sing, and enjoy favorite nursery songs. Things To Do Learning by doing is an important part of this program. Coloring, drawing, cutting, tracing, baking, pipe-cleaner construction, and even making musical instruments are activities that engage and help reinforce motor control. Course content subject to change. Kindergarten Students will refine reading skills with read-aloud books and a phonics-based approach. Reading materials are integrated with Science and Social Studies for an interdisciplinary education. Math introduces students to numbers, shapes, problem solving, and ordering numbers. English Language Arts Kindergartners learn to print and use their new skill to write about animals, their community, and create a book about weather. Children read engaging texts that introduce phonics skills and develop critical thinking. Calvert’s full day Kindergarten program offers hands-on, interactive learning. Students observe patterns in the natural world to answer scientific questions, construct arguments with evidence to support claims, develop and use models, and communicate solutions to provide detail about scientific ideas. They learn about weather and create a weather forecast. The Social Studies curriculum introduces America’s historical figures, symbols, and holidays. Students learn about globes and maps by making their very own treasure map. Kids are introduced to jobs and money and learn how to write a resumé that highlights their special talents. - Where's Home Little Pip? The focus is on counting up to 100, addition, subtraction, measuring, and shapes. Students engage in projects like making a number book to teach younger students, and measuring and weighing an item to ship it to a family in need. Students write in the colorful Math in Focus workbook and learn how to access grade-appropriate digital interactives. Lessons help young learners establish a basic understanding of health and fitness. Students are introduced to the concepts of personal safety, healthy behaviors, nutrition, communication, disease prevention, basic anatomy, and physiology. Grade 1 First graders build on what they learned in Kindergarten to develop phonemic awareness, comprehension, and vocabulary. Students build a strong foundation in Math skills and concepts in ways that are fun and engaging. English Language Arts Students gain independence in reading, learn more sight words, and become more adept at distinguishing vowel sounds. They write a narrative about their favorite day and create a persuasive poster about their favorite treat. Science First graders investigate, analyze and interpret data, construct explanations and design solutions to demonstrate grade-level proficiency. Students learn to predict movement pattern of objects in the sky and then compare the sky where they live to that of students around the world. Students continue learning addition and subtraction—now with two digit numbers. They explore measurement, charts, graphs, time, money, and solid shapes. Students learn concepts by writing the biography of a number and creating a 3D cake design. - Far From Home - King Kafu and the Moon - The Sun - One Classroom, Many Cultures - Whose Is This? Young learners focus on ways to be more active. Topics of study include exercise safety, nutrition, and the values of cooperation and teamwork. Students learn age-appropriate motor, non-locomotor, and manipulative skills. First graders develop a basic understanding of the aspects of health. Topics of study include personal safety, nutrition, communication, disease prevention, basic anatomy, and physiology. Grade 2 Students become fully immersed in the world of independent reading and build a strong Math foundation through projects that mirror real-world applications. English Language Arts Grade 2 students add more sight words and increase fluency by studying additional vowel sounds, blends, and suffixes. Learners use their skills when interviewing a community leader and then writing a biography about him or her. Science Second graders identify and perform guided investigations about the properties of matter to create a matter scavenger hunt and use engineering principles to design a solution to prevent or slow natural erosive processes that changes the shape of the land. Grade 2 builds on acquired skills and engages students with their community. Students study Native Americans and how the United States transitioned to a land of immigrants. Students will also learn about the U.S. government, economics and trade concepts. Learning is made fun by creating a travel guide of favorite places and making a plan to earn and save money. Math Second graders study 3-digit numbers, addition and subtraction to 1000, mental Math, data collection, money, time, and shapes. Engaging projects include conducting a plant growth experiment and organizing a fundraising event. Physical Education Physical Education focuses on how to become more fit and healthy. Children learn about warm-up and cool down, water safety, goal setting, nutrition, muscle strength, and flexibility, and are required to participate in regular physical activity. This course explores drawing techniques, perspective, and color theory and includes the discussion and analysis of famous works of art. Grade 3 In Grade 3, collaboration is integrated into lessons and projects. Learning will take place on a personal level cultivating a deeper understanding of subjects. The Singapore Math Method continues to build on concepts taught in Grade 2. English Language Arts Students read cross-curricular texts to increase subject knowledge and practice complex phonics concepts. Lessons include daily writing and fun projects like composing an advertisement about living in an extreme environment. Science Virtual labs provide an opportunity for students to practice gathering evidence and defending their claims. The Grade 3 curriculum weaves S.T.E.M. skills into lessons to spark a child’s curiosity about these fields. Students learn about plant and animal reproduction, inheritance, and life cycles by devising a plan to save the bee population. Social Studies This year, students develop ideas for helping their communities and starting their own business. Project-based learning helps students grasp the concepts of economics. Students learn about civics by developing and implementing a community service project. Math Lessons employ active digital resources such as a digital place-value chart, used with base-ten blocks to model addition and subtraction, and a digital beam balance to practice mental Math and estimation. Students learn about angles and lines, polygons, and area and perimeter by designing a wildlife sanctuary. Children learn about warm-up and cool down, water safety, goal setting, nutrition, muscle strength and flexibility and are required to participate in regular physical activity. Budding artists learn drawing skills using lines, light sources, and motion while discussing and analyzing famous works of art. Grade 4 Lessons guide students in applying concepts learned in fun and meaningful ways. Tips on differentiation are included so Learning Guides can adjust the lessons to accommodate students of different ability levels. English Language Arts A shift toward explanatory/argumentative writing is marked by an increase in non-fiction reading. Students conduct research for an op-ed and then create an investigative journalism report for a news show. Science Students apply their knowledge of natural earth processes to generate and compare solutions to determine the impacts of renewable and nonrenewable resources. Students employ the engineering design process to design, test, and refine a device to stay safe during a collision. This year’s focus is on the geography and history of early North America, the Age of Exploration, Colonial America, the American Revolution, and westward expansion up until the Civil War. Students create virtual museum exhibits to showcase the history of their state. Math dives deeper into addition, subtraction, multiplication, and division of whole numbers, fractions, data, and graphing; measuring angles and symmetry; and calculating perimeter and area of square and rectangles. Students build a travel itinerary, budget for a trip, and use geometry to design a dream neighborhood. Students learn age-appropriate motor, non-locomotor, and manipulative skills, and are required to participate in regular physical activity. This course explores drawing skills such as perspective and color theory. Picture study includes the discussion and analysis of famous works of art. Grade 5 Essential writing skills continue to be developed, including paragraph structure, outlining, and summarizing. In Social Studies, students investigate the history of the United States and their home state, from the Reconstruction Era through modern times. English Language Arts Students prepare for the rigor of middle school by studying complex sentence structure and reading challenging non-fiction. They write their own sci-fi narrative, and choose a topic for an opinion piece about issues that impact their community. Students carry out investigations, design solutions, and generate fact-based opinions using observation and data analysis. This year, learners develop a plan to decrease air pollution. This year’s focus is on our nation’s growth after the Civil War— through World War I, World War II, and the Cold War and into the Modern Era. Students create interactive virtual exhibits to show their state’s history. The Singapore Math Method introduces students to multiplying two-digit numbers by two digit numbers, practicing long division with and without remainders, adding subtracting and multiplying unlike fractions and mixed numbers, working with decimals, graphing on a coordinate plane, and calculating the volume of solid figures. Students are required to participate in regular physical activities. The focus is on warm-up and cool down, water safety, goal setting, nutrition, muscle strength, and flexibility. Fifth grade artists explore contour, naturalism, and linear perspectives. In Art History, students study paintings from ancient Egypt through the modern art movement. Grade 6 Students build their autonomy and explore topics through inquiry-based learning and STEM activities. English Language Arts Texts from different genres and periods are introduced. After reading Bud, Not Buddy, students reflect on their life experiences and write their own set of rules to live by. They will also study editorials and how they convey opinions, culminating in writing not only their own editorial, but also an opposing editorial. This exercise introduces them to the art of creating a sound argument. Science In Grade 6, the focus is on Earth Sciences. Students study the nature of Science, measurement, data collection and analysis, and engineering design principles as a foundation for conducting scientific investigations. Earth Science topics such as astronomy, geology, oceanography, and meteorology are explored through inquiry-based learning and STEM activities that encourage scientific thought. Project-based learning brings subject matter to life and encourages creative thinking. Students are captivated by the past as they study ancient civilizations that include Mesopotamia, Egypt, Greece, and the Roman Empire, as well as early Asian, American, and African Empires; Europe’s Dark Ages through the Renaissance and Reformation; and on into the Age of Enlightenment. Students create an interactive exhibit comparing and contrasting the ways knowledge and opinions were disseminated during the Renaissance/Reformation as compared to modern day. Math Students draw on problem-solving skills and prior knowledge to develop an understanding of numbers and operations, compare numbers with percents and ratios, write and evaluate algebraic expressions, study the area of triangles and other polygons, and summarize data distributions. Students learn by planning an event where they must create a menu, determine quantities based on the number of attendees, and then calculate pay rate, sales tax, and gratuity. Electives Middle school students can choose from a selection of electives. See page 14 for a complete list of elective courses and descriptions. Course content subject to change. Grade 7 Grade 7 students learn how to conduct research to form their own opinions. They then take what they have learned and apply it to projects that encourage community engagement. English Language Arts Projects emphasize gathering information from texts and conducting research to form opinions which students present through a variety of methods. Learners increase their skills by interpreting the ubiquitous information available in our digital age and presenting their analysis through digital means. They are tasked with creating a presentation to the leaders of world nations regarding human colonization of space and writing an art critique by taking virtual tours of the world’s most famous museums. Engaging in virtual labs and diverse instructional materials creates a rich learning experience. Grade 7 students explore life Science through inquiry and scientific thought. Topics include cell function, processes of plants, animal behavior, the systems of the human body, and ecology. Social Studies How can today’s students relate to events of the past? Grade 7 students study U.S. History from the first Americans through the American Revolution, the Civil War, and Reconstruction. Then they develop a social media campaign to convince colonists to either declare independence or stay loyal to England. Students develop a strong conceptual understanding of Math skills and concepts. They draw on problem-solving skills and prior knowledge to simplify and solve algebraic expressions, approximate probability and relative frequency, and construct different geometric figures. Students learn to identify the plane shapes, and then use those skills to assemble a three-dimensional object. Designing a bird feeder is one of the project options. Grade 8 Can you imagine how the American Revolution would have been led if Samuel Adams had social media? How many people would have shown up for the Boston Tea Party? Grade 8 students consider the implications of communications technology and learn about the persuasive power of speech. English Language Arts Students increase ownership of their reading growth by forming opinions through research and tackling social issues. Students research rites of passage in cultures throughout the world and compose an article in which they use journalism techniques to illuminate various rites. After reading Elie Wiesel’s Nobel-PeacePrize-winning book, Night, students will research a current global issue and write a speech modeled after Wiesel’s Nobel acceptance speech, calling the audience to action. Grade 8 students use prerequisite knowledge of physical Science to deepen their understanding of topics such as the properties of matter, chemical bonding and reactions, motion, forces, energy, and the properties of sound and light waves. Virtual labs and digital simulations create an engaging experience for middle-school learners. Students explore the essential elements, themes, and branches of the geography of the Eastern and Western hemispheres. They delve into the founding principles and practices of U.S. government and explore topics in economics. Students learn by completing projects such as drafting public policy on an issue they care about and taking steps to effect positive change in their community. Students draw on problem-solving skills and prior knowledge to develop a deep understanding of algebraic equations through data analysis and statistical applications and through an exploration of functions including graphing linear equations. Students will also learn about exponential and scientific notation, the Pythagorean Theorem, and how to apply geometric transformations. Learners are challenged to use equations to compare fitness center membership options. Middle School Electives Calvert offers a range of electives to keep middle-schoolers curious and engaged. Students learn about other cultures and other times through the study of world languages, art, and art history. They have the opportunity to explore careers and acquire new skills. Then, kids get the chance to step away from the computer and practice the health and fitness strategies they’ve learned. In this course, students study Egyptian line drawing, softdough sculpture, relief sculpture and symmetry. Lessons are coordinated with Art History – in which students learn about the sculpture of ancient times all the way through present day. Students apply concepts from Art History, to incorporate what they have learned about trilithons and step pyramids to design various buildings and structures. Who? What? When? Where? Why? And How? Journalism provides us with the answers to these questions about the events that affect our lives. In this course, students will learn how to gather information, organize ideas, format stories for different forms of news media, and edit their stories for publication. The course will also examine the historical development of journalism and the role of journalism in society. Students begin their introduction to Spanish by focusing on the four key areas of foreign language study: listening, speaking, reading, and writing. Students should expect to be actively engaged in their own language learning, become familiar with common vocabulary terms and phrases, and comprehend a wide range of grammar patterns. This course introduces students to the basics of photography, including camera functions and photo composition. Students will learn how to take well-composed photographs and improve upon them using photo-editing software. Young photographers will engage their creativity by shooting a range of subjects and learning to see the world through the lens of their camera. Spanish B students participate in simple conversations and respond appropriately to basic conversational prompts. They will analyze and compare cultural practices, products, and perspectives of various Spanish-speaking countries. Students take frequent assessments to monitor their language progression. Students begin their introduction to French by focusing on the four key areas of foreign language study: listening, speaking, reading, and writing. Class discussions provide an opportunity for discourse using newly acquired French speaking skills. The Audio Recording Tool enables students to learn a critical skill for French: listening and speaking. In French B, students learn personal greetings and continuing through practical communications exchanges. French B introduces students to the skills necessary to make the most of traveling to French-speaking countries. In this course, students explore career options in many different fields including business, health science, public administration, the arts, and information technology. Beginning with properly defining health, this course then builds upon basic health practices to emphasize the importance of balance. Attention is given to each of the six dimensions of wellness: physical, intellectual, emotional, spiritual, social, and environmental. Students are encouraged to reflect upon their own personal wellness each week. Students will gain a basic understanding of fitness and nutrition. In this course, they will learn about exercise technique and proper posture, warm up and cool down. Students conduct fitness assessments, set goals, develop their own fitness program, and participate in weekly physical activity. This course provides students with a basic understanding of the importance of staying active throughout their lifetime. Students will learn about exercise safety, team and individual sports, nutrition and myths and misperceptions about nutrition and drugs. Calvert offers a selection of high school courses with Calvert oversight that are approved by the NCAA and can be used for NCAA athletic eligibility. Course Format All Calvert High School courses are presented in an all-digital, online format with rich multimedia content from Houghton Mifflin Harcourt including Dr. Burger Math videos, Smart Science Virtual Labs, and Language Labs featuring Rosetta Stone®. This course is designed to integrate and engage students using interactive units organized around reading, writing, speaking, and communication skills. Students will study a variety of fictional and nonfictional texts, including novels, short stories, dramas, essays, memoirs, poems, and arguments. Students will examine text craft and structure; elements of literature; arguments and claims supported by textual evidence; power and impact of language; influence of history, culture, and setting on language and meaning; and personal critical and aesthetic responses to texts. Students will learn to express their thoughts by writing for varying purposes, audiences, prompts, and lengths. Students will explore the process of writing while creating formal expository, persuasive, and narrative essays. Students will learn effective listening, speaking, and viewing strategies in multimedia performance presentations. Students will acquire these skills through interactive, as well as traditional, learning exercises as they enhance their study of Language Arts while mastering the technological and research skills necessary in today’s academic environment. prompts, and lengths. Students will explore the process of writing while creating formal expository, persuasive, and narrative essays. Students will develop research skills while examining new information from different types of sources. Students will learn effective listening, speaking, and viewing strategies in multimedia performance presentations. Students will acquire these skills through interactive, as well as traditional, learning exercises as they enhance their study of Language Arts while mastering the technological skills necessary in today’s academic environment. English 3 explores the relation between American history and literature from the colonial period through the realism and naturalism eras. English 3 also explores the relation between American history and literature from the modernist period through the contemporary era, and presents learners with relevant cultural and political history. Readings are scaffolded with pre-reading information, interactions, and activities to actively engage learners in the content. The lessons in both semesters focus on developing grammar, vocabulary, speech, and writing skills. This course provides a comprehensive look at the evolution of British literature from the Anglo-Saxon period through the Modern Age. The course emphasizes the cultural and historical elements that shape literary movements. Twenty-six of the thirty-four lessons focus on literary analysis, while writing lessons focus on real-world applications, analytical essays, and research papers. Language lessons focus on usage, mechanics, and critical thinking. All course readings and literary texts are provided online. This course is the foundation for high school mathematics courses. It is the bridge from the concrete to the abstract study of mathematics. The main goal of Algebra is to develop fluency in working with linear equations and provide a formal development of the algebraic skills and concepts necessary for students to succeed in a wide range of advanced math and science courses. Students will extend their experiences with tables, graphs, and equations and solve linear equations, inequalities, and systems of linear equations and inequalities, as well as begin the process of working with polynomials and quadratic relationships. Algebra 1 students will extend their knowledge of the number system to include irrational numbers and generate equivalent expressions and use formulas. A primary goal of Algebra 2 is for students to conceptualize, analyze, and identify relationships among functions. In this course, the basic concepts from Algebra 2 are enriched. Topics include equations and inequalities, linear equations, linear systems and matrices, quadratic functions and factoring, polynomials, exponential and logarithmic functions, rational and radical functions, functional relationships and their graphs, conic sections, counting methods and probability, data analysis and statistics, sequences and series, trigonometric ratios and functions, graphs, and identities. This course also ties together many of the ideas from arithmetic and geometry. The Precalculus course is designed for students who want to prepare for Calculus. However, the standard Precalculus course is not just a preparation course for Calculus. It stands alone as “real mathematics,” and is designed to model real-world scenarios. Topics include trigonometry, vectors, two-variable and multivariable systems of equations and inequalities, matrices, sequences, series, probability, analytic geometry, limits, differentiation and anti-differentiation. This course will help students master everything from sets and functions to derivatives and integrals. Geometry introduces the study of points, segments, triangles, polygons, circles, solid figures, and their associated relationships as a mathematical system. Within this course, students will have the opportunity to make conjectures about geometric situations and prove in a variety of ways, both formal and informal, that their conclusion follows logically from their hypothesis. Geometry is meant to employ an integrated approach to the study of geometric relationships; integrating synthetic, transformational, and coordinate approaches to geometry, students will justify geometric relationships and properties of geometric figures. Students will extend their preexisting experiences with algebra and geometry to trigonometry, coordinate geometry, and probability. The main goal of the Geometry course is for students to develop a Euclidean geometric structure and apply the resulting theorems and formulas to address meaningful problems. Geometry is meant to lead students to an understanding that reasoning and proof are fundamental aspects of mathematics and something that sets it apart from the other sciences. Students will apply basic facts about points, lines, planes, segments and angles. This course investigates the relationship between structure and function from molecules to organisms and systems, the interdependence and interactions of biotic and abiotic components of the environment, and mechanisms that maintain continuity and lead to changes in populations over time. Students explore Biology concepts through an inquiry approach. Embedded standards for Inquiry, Technology & Engineering, and Mathematics are taught in the context of the content standards. This course investigates the composition of matter and the physical and chemical changes it undergoes. Students will use science process skills to study the fundamental structure of atoms, the way atoms combine to form compounds, and the interactions between matter and energy. Students will also study the states of matter, characteristics of solutions, acids and bases, reactions, and various branches of Chemistry. Students will explore Chemistry concepts through an inquiry-based approach while using skills in mathematics and technology. ENVIRONMENTAL SCIENCE H This course enables students to develop an understanding of natural environments, man-made environments, and environmental problems the world faces. Students will study the Earth and its ecosystems, populations, and biodiversity. Students will also study human impacts on the environment and how these issues are being managed. Students will explore Environmental Science concepts through an inquiry-based approach while also using skills in Technology and Engineering. Students of this course will learn about the most important elements of the United States’ community and government, as well as the processes involved within its government. Students will learn about elections, voting, campaigning, financial duties and responsibilities of the government, political and communal organizations, social contracts and the U.S. Constitution, the creation and implementation of laws, legal rights and responsibilities, and the three branches of government. Students will explore the creation, history, and purpose of the social system that makes up citizens’ daily lives. The purpose of World History is to explore, learn, and understand the variety of cultures, beliefs, and lifestyles that have existed all over the planet from the earliest days of recorded history. This course will connect students to the experiences and cultures of the past in order to gain an understanding of how humans have progressed and adapted to live and prosper on almost every part of the planet today. This course will help students gain an appreciation for past and current cultures, while applying historical methods to important figures, key events, and seminal moments throughout human history. ADVANCED PLACEMENT HUMAN GEOGRAPHY The AP Human Geography course is designed to provide students at the high school level a college-level course that will prepare them for the AP exam at the end of the year. The course will examine the basic themes and subjects of a normal geography course while applying these concepts and ideas to specific regions throughout the world and the peoples who live within those regions, and how both interact with one another. In addition, students will take the knowledge that they acquire on various regions and peoples and compare and contrast them in order to gain a better understanding of how humans and their environment relate to one another, both throughout history and within our own current era. CURRICULUM ADVANCED PLACEMENT WORLD HISTORY H World History is a course designed to explore some of the most important developments in history in order to gain an understanding of how culture, technology, and ideas are transmitted from one area to another, and how the modern world exists as an extension of the past. This course will take the concepts learned from prior world history classes and investigate the importance of their occurrences with an analytical approach. Concepts that this class examines are; cultural and technological development, global trade, diplomacy, war, religion, language development, cultural/ geographical borders, art, and agriculture. The goal of this class is to introduce students to a college approach to learning as well as to give them a better understanding of how the peoples of this world have interacted with each other to produce our modern world. This course develops critical thinking skills by encouraging multiple views as students realized that there are often multiple accounts of a single historical event that may not be entirely consistent. Electronic discussion groups encourage collaboration, and a variety of practice activities are provided, from multiple choice actions to advanced interactions. SPANISH 1 Spanish 1 has been carefully designed to focus on successful communication through speaking, writing, reading and listening. This course introduces the learner to the beginning level of the Spanish language. It ranges from vocabulary and grammar rules, to literary and cultural activities. After completing the course, students will be able to engage in short conversations in simple, standard situations that convey basics about their personal information and their environment. This course provides students with the tools necessary to understand simple questions and respond to them when other individuals speak slowly and have a familiar accent. Students will be exposed to native speakers of Spanish during the laboratory activities. Students will have the opportunity to engage in authentic language learning through laboratory and live experiences. Spanish 2 builds on and reinforces concepts learned in Spanish 1. Activities range from vocabulary, grammar rules, projects, and cultural and literary activities. After completing this course, students will be able to communicate on a variety of topics including automobiles and other vehicles, describing events that took place in the past, giving a detailed description of objects and people, hobbies and pastimes, vacations, states of mind and emotions, and nature and outdoor activities. Students will be exposed to native speakers of Spanish during the laboratory activities. Learning activities in each unit are focused upon a specific theme. French 1 focuses on successful communication in each of the four components of language: listening, speaking, reading, and writing. This course introduces the learner to the French language through vocabulary, grammar, culture, and literature. Learning activities in each lesson are focused upon a specific theme. Students will be exposed to native speakers of French in the Language Lab activities. Upon completion of the course, students will be able to participate in short exchanges in simple, everyday situations; greet others and introduce oneself; give personal information and information about one’s surroundings; give one’s age, nationality, and occupation; talk about family and pets; describe oneself and others using physical characteristics and clothing; talk about feelings; talk about daily activities; give the date; situate an object in space; and exchange simple questions and answers with someone who speaks slowly, with a standard accent. SPANISH 3 Spanish 3 focuses on successful communication through speaking, writing, reading and listening. It contains vocabulary, grammatical rules, projects, speaking, reading and listening activities as well as cultural and literary pieces. This course introduces and helps the learners to assimilate, in context, the vocabulary and structures most commonly used for ordering at a restaurant, describing accommodations, talking about the weather, organizing a meal, and talking about leisure activities. Upon completion of this course, students will have the tools necessary to understand and elaborate questions, and have the opportunity to practice using appropriate words, expressions, and structures in a number of communicative situations. Learners will be exposed to native speakers of Spanish during the laboratory activities. Learning activities in each unit are focused upon a specific theme. The course concentrates on the principles of being healthy and focuses on physical development, mental and emotional stress, relationships, substance awareness, social disease awareness, and personal safety. Students develop critical life management skills necessary to make sound decisions and take positive actions for healthy and effective living. This course concentrates on the principles of being fit and includes subjects such as evaluating fitness, flexibility, anatomy and physiology of body systems as they relate to being fit (oxygen transport, heart health, muscle fibers, etc. ), nutrition, hydration, and designing a personal fitness program. Students acquire knowledge of physical fitness concepts, understand the influence of lifestyle on health and fitness, and begin to develop an optimal level of fitness. The purpose of this course is to analyze forms of media for the purpose of teaching about the tools of manipulation, power of the media, the Internet and related issues, and critical thinking. Media studies will be about empowering students to defend themselves against the power of the media as well as understanding how to utilize the media for the benefit of humanity. Reading, writing, speaking, listening, and viewing competencies are integrated throughout students’ learning experiences. Students will also develop and use fundamental writing and language skills for creative expression in a variety of literary forms. Emphasis will be on development of a personal writing style. Students will analyze literary models and engage in peer review techniques. This course provides students with an introduction to visualization graphics programming on personal computers. The course focuses on using a digital camera and practical application of digital imaging programs. Students learn to place images and how to mock up drawings of three-dimensional spaces. This course teaches students the kind of writing and speaking used in business, from the routine report to the formal report. Students learn to prepare a professional resume and how to have a successful job interview. Focus is also on the legal aspects of writing official communications that touch on people’s civil rights. (One Term) taken with Digital Arts Music Appreciation introduces students to the history, theory, and genres of music, from the early music forms through the classical through contemporary. The course explores the interface of music and social movements and examines how the emergent global society and the Internet bring musical forms together in new ways from all around the world. INTRODUCTION TO INFORMATION TECHNOLOGY This course is designed to provide an introduction to information technology concepts and careers. Students will explore the impact that modern information technology has on the world, people, and industry. The content includes understanding of basic computer hardware and software, hands-on Microsoft Office training, and integration of core education skills. WEB DESIGN This course offers competency-based applied learning to understand the development of web design. Technical knowledge and skills needed to prepare for further education and careers such as web designer are covered. The content includes, but is not limited to web document development, design, promotion, and scripting. This course is an introduction to the goals, processes, and operations of business enterprises for students. The main focus is on the functions that a company–whether a multinational corporation or a corner grocery store– must manage effectively in order to be successful. These include accounting, finance, human resource management, marketing, operations management, and strategic planning. Attention is also given to the legal environment in which businesses operate, and the importance of business ethics and corporate citizenship. PSYCHOLOGY Through the study of psychology, students acquire an understanding of and an appreciation for human behavior, behavior interaction and the progressive development of individuals. The course examines the nature of psychology as a social and behavioral science. It surveys fundamental areas in behavior including research in psychology, the brain and behavior, learning, human development and socialization, intelligence, personality, health psychology, and social psychology. ETHICS & RESEARCH BASED DECISION MAKING The purpose of this course is to help students develop the ability to make reasoned and ethical choices when confronted with the many complex, controversial moral dilemmas faced in today’s society. Students will become acquainted with the foundations of ethical thought and theories as well as gain an insight into the process of moral development. Students will also identify typical fallacies in flawed moral arguments. Students will also be given the opportunity, both orally and in writing, to apply the skills they acquire to real life moral dilemmas. This multidisciplinary course offers students the ability to choose among research topics as they relate to various fields such as science, history, and literature. The course promotes research skills and students gain the ability to evaluate research claims made in the media, literature and other sources. 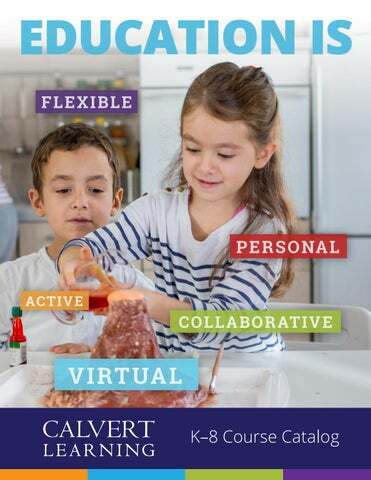 For teachers in blended learning settings and for parents who support their children at home, Lesson Manuals are an invaluable guide to the Calvert curriculum. 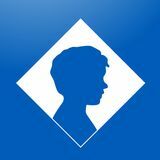 They provide complete, step-by-step daily plans for all subjects to facilitate an efficient school day. Online manuals contain rich embedded instructional resources and links. Each lesson manual contains a course outline for every subject, a suggested daily schedule and tips for the Learning Guide. Calvert Teaching Navigator Our easy-to-use online platform helps you plan, pace, and track learning in real time. The Calvert Teaching Navigator provides maximum flexibility for moving through the Calvert curriculum. Teachers can track progress, performance and pacing as well through a helpful, easy-to-use dashboard. For our partners who use their own Learning Management System, Calvert curriculum can be integrated with other technology platforms. Calvert Online Resources Interactive learning brings ideas and concepts to life. Calvert has integrated a variety of online resources into our lessons, along with e-textbooks and traditional resources, to provide your students with a dynamic, fun and enriching learning experience. Students have access to a wealth of information through the multimedia resources located in this ad‑free online version of Encyclopedia Britannica. Interactive and engaging graphics, audio, games, and videos accompany many topics, allowing your students to explore content according to their learning level. Calvert presents concept-specific videos from Discovery Education STREAMING. The videos will engage your students and help bring lessons to life. Interactive multimedia learning is more than just fun; it increases learning. Calvert presents interactive tools featuring videos, games, and quizzes from BrainPOP. Your students will love using the online activities that are an integrated part of the Calvert experience. Houghton Mifflin Harcourt's Science Fusion series includes online activities, videos and virtual labs that can be completed side-by side with hands-on activities. This series promotes important critical-thinking skills that prepare students for success in future science courses and in the workplace. Bring Math to life with fun, interactive a wide variety of resources that include videos, games, and digital tools provide students with engaging practice and opportunities to develop fluency. HMH Science Dimensions provides rich opportunities for students to conduct hands-on investigations, solve problems, and present their findings. e-Textbooks Publisher-provided electronic versions of selected textbooks contain additional resources, such as video clips, auto-graded practice tests, and valuable support material.